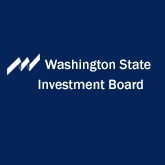 The Washington State Investment Board (WSIB) is seeking a highly-qualified professional to fill an Assistant Investment Officer (AIO) - Real Estate position. This is a unique opportunity to join a growing and dynamic global institutional investment manager at the entry level. The WSIB's Real Estate Investment Program differs from those of most other institutional investors, as investments are primarily made through the ownership of operating companies. These companies in turn develop, acquire, and manage properties. Many of these companies target long-term income generation as opposed to the creation of short-term gains. Due to the long-term-hold nature of the portfolio, earning appreciation is a goal secondary to yield generation. The strategic view taken is multi-cycle, with most investments targeting 15 years or longer. The WSIB's real estate investments are currently valued at approximately $16.5 billion, net of debt. The portfolio has a true global focus, with active investments in more than 30 countries, including emerging markets. Assisting other Investment Officers with the management of investment relationships. Ongoing due diligence of existing relationships. Building strong and positive relationships with senior management teams of portfolio companies. Providing research support to the Real Estate team. Leading due diligence regarding legal tax requirements of countries targeted for potential investment. Providing assistance in due diligence and underwriting of potential new investment relationships. Assisting in the wind-down of investments in liquidation. Producing analytics regarding existing and potential investment holdings. Providing feedback and input to the strategic direction of the real estate portfolio. In all cases, team members are actively involved with the portfolio's investments. Our approach is hands-on and it is expected that the Real Estate team spends a significant amount of time on the ground with our local investment partners. The travel requirement is extensive and frequent. Maintaining awareness of the performance of the holdings of each partner relationship assigned, through communication and regular onsite reviews. Building and maintaining positive communication and relationships with the management teams of the partnerships assigned. Working with senior management teams of assigned relationships to provide strategic direction. Involvement in the annual business planning process of investment partners (which may include partnership budgets). Maintaining a constant dialogue with WSIB partners regarding strategic, financial, operational, and other matters in a timely manner. Assist in the review of proposed real estate partnership investments and recommendations to pursue or reject the proposal. Process may include a strategy overview, market underwriting, key meetings with potential partners, document review, company background research, risk and financial structure analyses, on-site due diligence, and meetings with legal and tax professionals. Recommend changes to and/or termination of partnerships. Complete market and economic research for the Real Estate team. This may include research such as real estate markets, and legal and tax structuring. Work as part of the Real Estate team in forming long-term strategic direction. Bachelor's degree in business, finance, real estate, or economics. Verifiable, expert skills in Microsoft Excel and PowerPoint. Ability to analyze and clearly summarize financial, economic, statistical, legal, demographic, accounting, tax, market, and other relevant data. Excellent written and oral communication skills, as written reports and oral presentations are an integral part of the responsibilities of the position. Availability for frequent business travel is required, including internationally, as this is an actively managed portfolio which includes a significant non-U.S. component. One may expect to travel as much as 50 percent of the time. 2 years' experience in institutional-level real estate investment management; while not required for consideration, strong preference will be given to candidates with specific, relevant experience. An advanced degree in real estate, finance, economics, or business is strongly preferred. An advanced business-related degree with an undergraduate degree in any discipline fills the requirement above. Certification as a Chartered Financial Analyst. Knowledge of global commercial real estate investment industry trends. A working understanding of typical investment capital structures. Knowledge of capital markets and related activities, events and trends. Demonstrable strong risk assessment skills. Considerable familiarity with global economic and demographic trends, and with world geography and geopolitics. A cover letter specifying why this position is of interest to you, and how you meet the qualifications listed above. This letter should be no more than two pages. Candidate evaluation will be ongoing and WSIB may make a hiring decision at any time. This recruitment will close when the position is filled. Prior to a new hire, a background check including criminal record history will be conducted. Information from the background check will not necessarily preclude employment but will be considered in determining applicant's suitability and competence to perform in the position.